in the comfort of my Mother - that's the warm and lasting kind. moments shared, both good and bad, and words of love and praise. a summer's afternoon becomes a sparkling winters day. but one thing always stays the same - the love I feel for you. 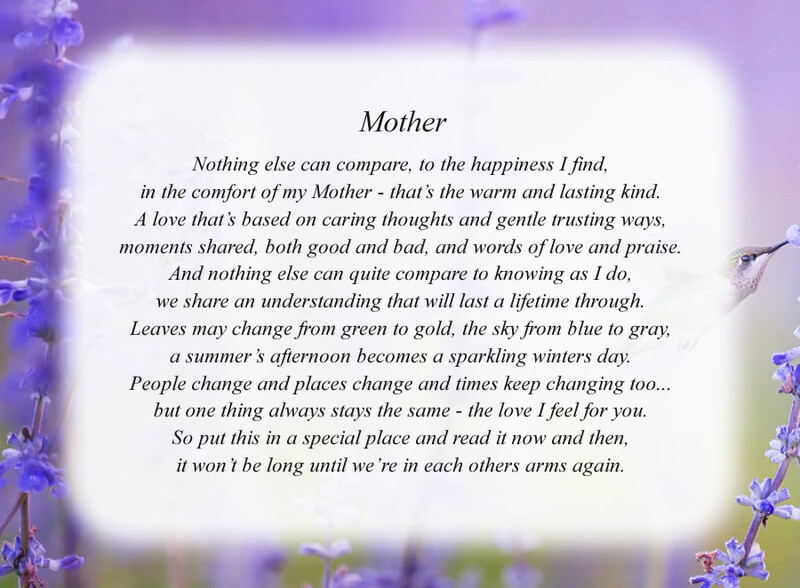 The poem, Mother(2), is free and printable by opening or downloading using one of the three links below.